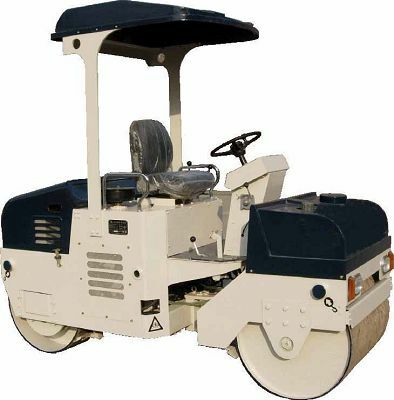 GMC-DD02 Road Roller is a small-size Tandem Vibratory Roller, which can be applied to roads constructing and maintaining and the rolling of expressway shoulder, side walk, parking area, sports ground and garden lawn. This compactor roller is especially suited for compaction of pipeline channel and drainage trench and such narrow areas. GMC-DD02 Road Roller adopts mechanical driving, hydraulic vibration, articulated and hydraulic steering with easy operation, reliable performance, and cost performance. Sludge scrapers and sprinkling devices on both drums help to develop the quality of road construction. The compact design, small size and beautiful appearance of GMC-DD02 Tandem Vibratory road roller are suited for compaction of narrow areas. High quality and high efficiency ChangChai diesel engine with large power output reserve capacity, reliable performance, stable quality, low fuel consumption, convenient operation and maintenance.